Julie Paz of Idaho visits the rare book department at the Boston Public Library. In 2006, when the Boston Public Library’s vast collection of rare books and manuscripts was in great need of repair, a concerned patron ­offered to help preserve some of its irreplaceable treasures. “I just want to save some books,” the patron said. That simple offer led to a $100,000 gift in 2008, then a $500,000 donation in 2010, and another $500,000 pledge this month, all under condition of ­anonymity, that have startled and thrilled the caretakers of the ­treasures housed at the country’s oldest public library. As a result, the library’s ongoing work to catalog, conserve, and digitize works in its special collections, which hold more than one million items ranging from early printed books to ­abolitionist broadsides, will continue apace. Plans have not been made for the new gift, which is being channeled through the Boston Foundation, but the previous donation of $500,000 has helped pay for positions in the library’s conservation lab, in ­exhibitions and outreach, and in the digitization lab. In addition, new equipment has been bought for the conservation lab, and the library has been able to send vulnerable items elsewhere for complicated repair. 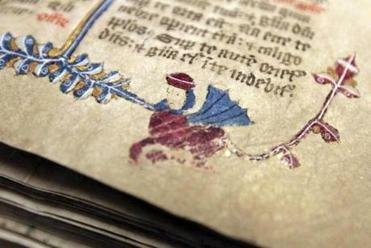 The Associates of the Boston Public Library is a nonprofit group dedicated to conserving the institution’s rare books, manuscripts, and other historical items. The library has one of the nation’s most extensive collections, including this 14th century English Missale. Amy Ryan, the library president, said the gift is a reminder of the generosity that has given the Boston Public Library, with 22 million holdings, the second-­largest overall collection in the country after the ­Library of Congress. “It’s just an ocean of wonderfulness,” Ryan said. 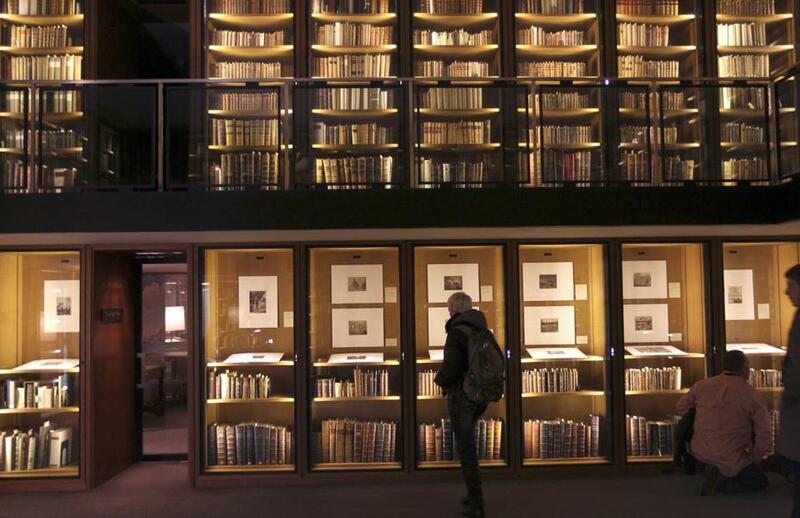 The gift dovetails with a ­recent decision by the library to designate 18 Collections of ­Distinction, including the abolitionist material, the John ­Adams personal library, and a massive cache of Shakespeare-related material. “Once a collection of distinction is identified, our commitment to that collection is clear,” Ryan said. For Prindle, the exhibitions manager, the fun is about to ­begin as she and library staff begin pondering how best to put the latest gift to use. The hope, she said, is that staff will have identified the latest, key candidates for conservation by midspring. “I have a feeling that we’ll be finding some pretty extraordinary stuff,’’ Prindle said. The donation will also allow the Associates to build up the David McCullough Conservation Fund, named for the historian and former Boston Public Library trustee and often used to pay for preservation projects. The hope, Spiro said, is to make the fund into an endowment.